Gotthard, a hard-rock band from Lugano in the Italian part of Switzerland and Bern in the German part, was founded in 1990 by mentor and co songwriter Chris von Rohr, best known as Krokus' bass player. 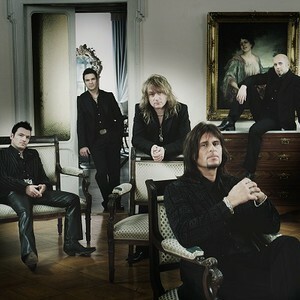 Gotthard is definitely one of the most famous and successful Swiss artists ever and almost every album has topped the Swiss charts since 1990. With 2 million albums sold (1 million of which were sold in Switzerland, which only has 7 million habitants), they managed to get multi-platinum awards in different parts of the world. With 2 million albums sold (1 million of which were sold in Switzerland, which only has 7 million habitants), they managed to get multi-platinum awards in different parts of the world. Influences include Led Zeppelin, AC/DC, Whitesnake, Deep Purple and Aerosmith. Singer Steve Lee is especially fond of Whitesnake and has based his singing style on their lead singer David Coverdale. Gotthard also performed "Immigrant Song" (originally by Led Zeppelin) live and it featured exclusively on a CD by Classic Rock (a long running monthly UK rock magazine). "Hush" was also performed live and can be found on Made In Switzerland album. Another cover of a song they have recorded is "The Mighty Quinn", originally called Quinn The Eskimo, by Bob Dylan. Singer Steve Lee was killed in a motorcycle accident on October 5th 2010. A truck struck him while he was stopped on the side of a desert road in Nevada (USA), putting on rain gear.